My mother was a great lady but not a great cook. TV dinners were a popular option at our house when I was a kid. If we weren’t eating TV dinners we might have to eat … frozen fish sticks. I can still smell the oily odor of limp fish sticks frying up in the little Sunbeam electric skillet. It permeated everything. I grew up in a clean-your-plate family so, ultimately, I had to choke down those mysterious fish parts. Then, without fail, I raced to the bathroom and threw up. How does one think critically about such a situation? In our family, we quickly ruled out several non-causes. Everyone else in the family ate fish sticks and didn’t get sick. Therefore, it couldn’t be the fish sticks. 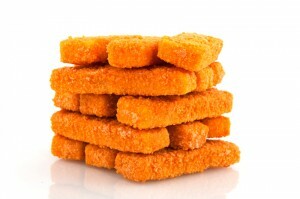 Every serving of fish sticks made me sick, so we couldn’t blame it on just one box that had gone bad. Clearly, I must be allergic to fish. So, from the age of about six to 23, I ate no fish at all. No trout or tuna or herring or salmon or swordfish. After college, I moved to Ecuador and, from time to time, took vacations to the beach. On one such vacation, I found that there was nothing to eat locally but fish. Finally, I sat in a restaurant, braced myself for the worst, and took a bite of fish. I thought, “Wow, this is really good!” I wasn’t allergic to fish at all … just greasy, stinky frozen fish sticks. Police pick up a suspect in a crime. They’re pretty sure he did it so they’re especially attuned to any evidence that incriminates him. At the same time, they ignore evidence that might point to someone else. The suspect is framed even without malicious intent. A doctor reads your medical records and discovers that you suffer from XYZ. So, he treats you for XYZ without listening to your current complaints. The medical records framed you and may have prevented the doctor from seeing the whole picture. In these cases, one person is framing another. The same thing can happen to abstract issues. I’ve noticed that Republicans and Democrats frame the same issue in very different ways. What we forget sometimes is that we can also frame ourselves. I used to teach a course in research methods that included a mild dose of inferential statistics. Many of my students were women in their 30s and 40s who were returning to school to re-start their careers. Many of them were very nervous about the statistics. They believed they weren’t good at math. As it turned out, they did just fine. They weren’t bad at math; they had just framed themselves into believing they were bad at math. If you believe something about yourself, you might just want to poke at it a bit. Sometimes you may just be wrong. On other occasions, you may be right — I’m still terrible at anything having to do with music. Still, it’s worth asking the question. Otherwise, you may miss out on some very tasty fish. 2 Responses to Can You Frame Yourself?